Today stood for the proposition that sleep, good nutrition and perhaps a bit of rest during the week are helpful to running a race, but also that a healthy, positive internal dialog is probably THE most important aspect of good performance. Hardly news, indeed, but sometimes reminders are helpful. I got a really good night sleep after an emotionally draining day of work – such a good night that I woke up a little too late to work my planned run to Worcester State to volunteer for the weekly race, and run back. I took my time, ate breakfast, took the dogs out, and then headed over. I even stopped at Starbucks on the way. How come when I look in the mirror I don’t look this fat? Since Clearwater last week, I hadn’t run at all, to my shame. My plans have been to do 28-miles a week, and to this point I’d been either on point or close and had missed only two days of running this year. I basically missed all this week and I was feeling guilty about it. Arriving early today, I took the opportunity to do a quick warm up run of a mile or so and was surprised by the pace I clocked myself doing: a 7:49 pace. Unusual in that I don’t usually push myself that hard warming up or really outside of a race – and oftentimes not even then. Then there was the crowd today: a lot of fast looking people showed up. It’s an informal gathering, so people show up on a whim, and the people who felt the whim today “LOOKED” like the kind of people who run fast. I know, a total stereotype or so it would appear. More on that in a minute. A few announcements and what seemed like a quick “GO” we were off. I ran the first mile at a ridiculous pace – a personal best for a mile. I knew I had gone off too fast, but I’m working on my internal dialog to keep myself on task, to keep my thoughts positive (“if we can keep this pace…”) instead of the negative (“You’re going to bonk out if you keep this up…”), so I kept reminding myself of the distance I’d come, and that a personal best awaits so just keep going. I was feeling reasonably strong, but the second mile was considerably slower. First Mile: 7:09. Second Mile: 7:57. As soon as the second mile clicked off as completed on my Garmin, I had to slow down. I was zapped. Picked it back up and ran…and slowed to a walk again. I did that a few times, but ultimately sucked it up. I had lost focus on my inner dialog: it’s not that I was saying “I Can’t,” it’s that I wasn’t having one. As soon as I realized that absence, I was able to control my pace again. I picked up my pace and hit mile 3, finishing with a rather surprising 8:20 pace for the mile. When I was running I was running strong. I finished the course in 24:24 or a 7:49 overall pace. The last 0.1 mile was 7:29 – I’m guessing the last 0.6 mile of the race was actually about that pace. It was tough carrying my carcass over the line, but it felt good when I did. My friend Mike had finished perhaps 90-seconds ahead of me and he was waiting at the finish to cheer me in…a fact to which I was apparently oblivious as I came across the line. It was a bit of a struggle bus ride, but I finished with a personal best for the course and my second fastest 5k. Now, not to take the shine off my pace today, there may have been something in the air; the top finisher came seconds away from a course record with a time just under 15-minutes, and second came in about 45-seconds later at 15:36. Perhaps a good rest, decent nutrition and positive internal talk all influence race performance, but sometimes the day just carries itself. September 16, 2017: 25:56 Cloudy, humid, 60’s. I wasn’t sure how well this race was going to go. I hadn’t run more than 7 miles at one time since December 7 and the last time I ran longer than 10 miles was the Cambridge Half Marathon in November. Being laid up in an immobilization boot for the better part of December, I went from December 7 to December 31 without running. Since then, I’ve run every day in 2018 except two – January 4, the day of a blizzard that shut down just about everything, including the gym, and yesterday when I just couldn’t get my stuff together to run the weekly 5k before I headed to the airport. So, it’s race day. The thing that saved the day from ignominy is the fact that Florida is as flat as a pancake. The only elevation gain was from the two bridges and the out and back course. 344′ of gain. It saved the day, and cursed the day, but more on that later. The race started at 7:05 and about 58-degrees. I wasn’t sure what to make of the race. My night sleep was sketchy, but my nutrition was on point. Up and out to packet pick up by 5:30 AM, with a cup of coffee and an ill fated trip to the porta potty set the stage. About 0.5 mile into the race was the Clearwater Memorial Causeway Bridge. I wasn’t sure I was going to accomplish this in the time I wanted, yet the next song to come up on my playlist was “Barometer Soup” by Jimmy Buffett. Feeling the Margaritaville vibe with the view of Clearwater was magnificent. I wasn’t sure what the race held, but I was happy I was there. The coffee helped get my metabolism going, but unfortunately caused some other issues for me, which wasn’t immediately a problem but about 4 miles in they began. Just before the second bridge, there was a breakfast place that had obviously just fired up their offerings with the net result was all I could smell was bacon…for like a mile. THAT would’ve been AWESOME if I weren’t battling the GI ninja. Its also the day of the AFC Championship Game – Patriots vs. Jaguars. So, ever the master of race couture, I wore a TB12 jersey…the whole race. Not one hater on the course, some fist bumps, high fives, hoots. It was fun and served the purpose I set out to achieve wearing it. I was fully on pace for a personal record right up to Mile 12, right where the last bridge started inclining and I just couldn’t push any further. For that half mile, I pretty much walk-ran the bridge. The second half was down hill, including a ramp down into the park. I’m pretty sure that mile split was 13:00 m/m for the first half, and 7:00 for the second. Ultimately, I finished with a 1:56:32 time. Not my worst by a long shot, and about 3.5 minutes shy of my best. Much like Cambridge was in November, this was an opportunity to PR – an opportunity lost. BUT, it was a personal victory; I’d not had a long run in months, I haven’t been running well at all. A sub-2 hour half marathon is, in my book, a good race. It didn’t feel like a good ending, but over all it felt like a good race. I wound up with an 8:56 pace, with the last three miles taking their toll on my pace. Lessons to build on. I was disappointed and not a little salty that the Half Marathon finisher medals weren’t available at the finish line, but the communication around that really was top notch. It was a regrettable situation, and the RD clearly regretted it. We got a note at the finish, an email to follow up and I received this by week’s end. It’s a really slick medal, and truly the reason it wasn’t available (beyond the shipping issues) was that they had a custom medal for each distance; whatever happened behind the scenes, the public face of it was handled well and appreciated. Not every race does that (I have two “Half Marathon-5k” medals and one “Marathon & Half Marathon”) So while it was a drag at the time, it’s pretty sweet swag overall. What a weird day. I woke up to 59-degree weather, perhaps a touch overcast, but otherwise a very pleasant January morning. Now, it was widely reported that today was going to be strange, going from a high of about 59 to a low of 7 – or there about – so I was paying attention to the weather forecast, but my iPhone was telling me it was going to be about 57 and overcast through about 11 AM or so, so I figured I was good to go. Put on a short sleeve shirt, a pair of shorts and a light fleece. ‘Ret to go. At about 8:20, it was still about 58-59 and overcast, to script, when I went into the Worcester State University building to register. I came out to a noticeably colder day – I’m guessing it must’ve lost 4 degrees in the time I was inside. I went for a quick warmup run, during which it started to rain on me. Back at the University building, I took off the fleece after deciding to run in shirt sleeves – after all it was still very much in the mid-50’s. At about 8:50 we headed out to the starting line, and I quickly decided shirt sleeves was not going to be my thing today – according to Apple, it was now about 47-degrees and it was pouring. Back on went the fleece, as I regretted having registered for this. Here’s the start. Note here, I’m comfortably ahead of the pack – this doesn’t stand very long because I’m a terrible runner who knows nothing of pacing. Running the course clockwise today probably helped as it’s mostly downhill, but there was a strong headwind during mile 2 – there were times I find myself unable to breath the wind was coming in so hard and fast at me, but by mile 3 the sun was out again and it was probably in the low 40’s. Just flat out crazy weather. I’m sure my perception of the temps is off, but the story does play itself out in my splits with mile 2 being the slowest of the 3. 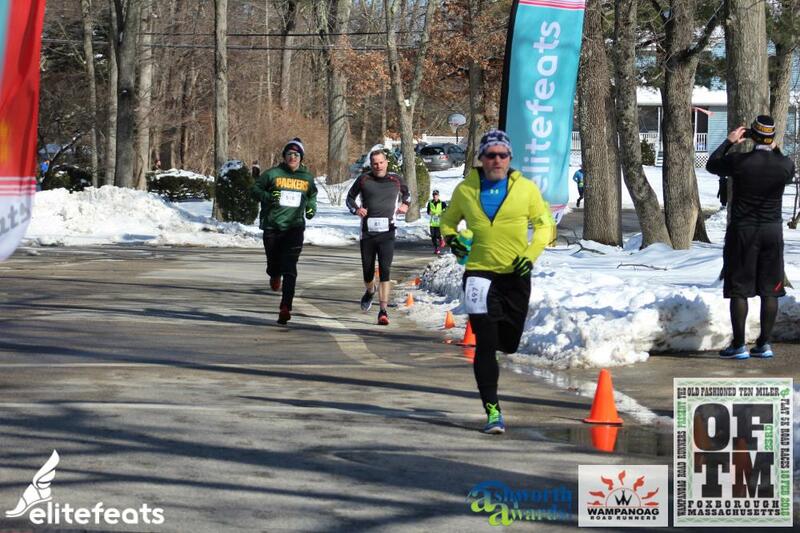 Note the lack of anyone near me at the finish (there’s a 0.1 mile overlap on the course to complete the 5k, which explains the Similar angle). Not really hard to tell the start of race pic from the race finish pic is it? Official time: 25:14, not my best, not my worst. It’s another minor victory for being the fastest 3-miles I’ve put down this year after having been laid up in December. I figured I’d be chasing 26-minutes today, so I felt good that I didn’t. February 25, 2017: 24:36 cloudy, warm and 52 degrees. Today was pretty difficult. 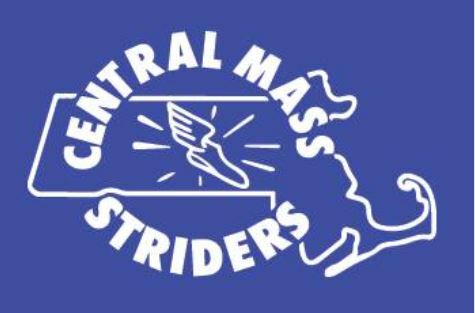 The Freezer Five is a 5-mile race through Sterling, MA, along a course that’s reasonably wide open, past the municipal airport around and back. The course itself looks like a wildly out of proportion upside down coat hanger that’s had its hook straightened and stretched out. It’s not terribly challenging in terms of elevation profile: some slight elevation loss, some slight elevation gain. What makes it challenging is really just getting out there in the cold – today was somewhere around 5 degrees Fahrenheit or so. I was about 20-seconds/mile slower today than I was a year ago. A year ago the course was actually in much worse shape with snow, but it was definitely warmer. I really felt the effect of having been laid up the better part of December, the result of having been relegated to a walking boot for most of the month. The good news there is that while the doctors originally thought I had a partial Achilles tear, it turns out that it was tendinitis. So while the net effect of the boot was positive (my Achilles felt GREAT today), and despite the workouts I was doing while in the boot, I hadn’t changed my eating (read here more calories going in, fewer going out) so I packed on some pounds. Combined with a vast reduction in cardio work over that time, I was huffing and puffing my way through this. In November, a group of us ran this course and I did it slightly faster than I ran the race last January, so I’m sure I could’ve hit this harder this year had I not been forced to take some time off running. On the one hand, it would be easy to think of a missed opportunity, but really today is about giving myself grace: I came off the bench with a last minute decision to run and made it happen. I considered my time today a minor victory given those circumstances and am generally pleased by the effort I put in out there. It was difficult: between December 11 and today I had run 4 easy-miles yesterday. I’m a little sore all over right now, but I’m glad I went out there and did it. Onward and upward.